LAHORE, (UrduPoint / Pakistan Point News - APP - 16th Apr, 2019 ) :Director General Sports board Punjab Nadeem Sarwar gave a detailed briefing to Punjab Chief Minister Sardar Usman Buzdar during his visit to Gakhar Sports Arena, Gujranwala on Tuesday. He briefed the chief minister about games and sports facilities with the help of maps and charts. Spokesman of the Chief Minister, Dr Shahbaz Gill, Advisor to the CM Akram Chaudhry, Secretary Sports Punjab Nadeem Mehboob, RPO, Commissioner Gujranwala, Deputy Commissioner Gujranwala and Divisional Sports Officer Gujranwala were also present. While briefing the CM, the DG Sports said that Gakhar Sports Arena, Gujranwala had been constructed over 55-kanal land with a cost of Rs 370 million. "The sports facilities of flood-lit cricket stadium, hockey stadium with astro-turf, football stadium, badminton hall, volleyball and basketball court are being constructed at Gakhar Sports Arena, Gujranwala," he explained. He said that the Gakhar Sports Arena would be completed by September 30 this year. "Sports Board Punjab is taking effective measures for the promotion of sports in the province as per the vision of Prime Minister Imran Khan and Chief Minister Punjab Sardar Usman Buzdar. 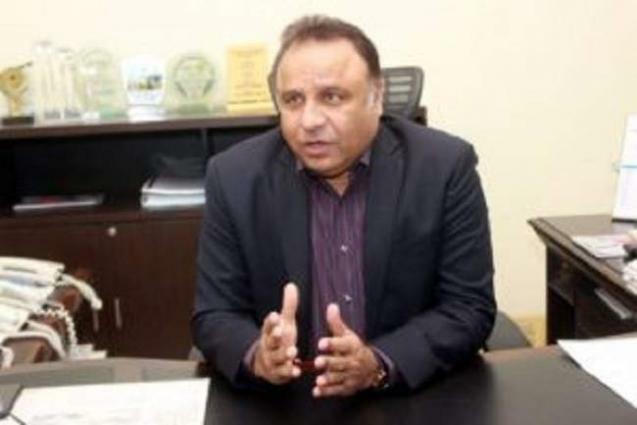 A large number of youngsters are expected to incline towards sports activities as a result of modern sports facilities being established throughout the province," Nadeem Sarwar added.